Daily Mail Online. March 11th 2018. 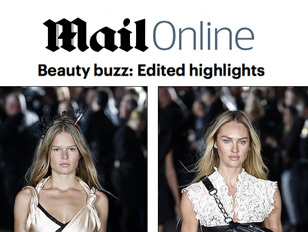 Beauty buzz: Edited highlights. No time to pamper? The new speedy hair lifts guarantee salon sleekness in 20 minutes. L’Oréal Professionnel Instant Highlights service. © 2019 Daniel Galvin. All Rights Reserved.